Online learning veteran OMI launches refreshed website that features new content, an enhanced user experience, and valuable series like "Think Like a CMO" to help marketers stay on top of their game. OMI's unique teaching philosophy is built on a deep understanding of how adults learn today. 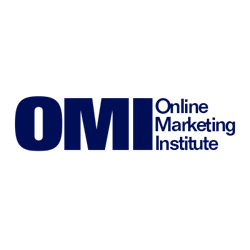 Today, Online Marketing Institute (OMI), the leader in e-learning for marketing professionals, has launched a refreshed website with brand-new content for marketing professionals looking to expand their knowledge through online learning courses. Among the new featured courses is “Think Like a CMO,” featuring CMOs from McDonalds, Chrysler, Hershey’s, CapitalOne, Wunderman, 1-800-FLOWERS.COM, and more. The new site also features a digital IQ assessment to help students determine their strengths and knowledge gaps. OMI has a unique teaching philosophy built on a deep understanding of how adults learn today. The philosophy combines social learning theory, chunking, and training taxonomy to take students from passive learners to active doers. The company creates micro lessons of 10 minutes or less which combine to create a full lesson. OMI experts work with instructional designers to craft learning objectives for every lesson so experts are teaching rather than lecturing. Students take assessments throughout their experience to ensure that they are moving up the learning pyramid and not just memorizing material. Additionally, OMI video courses feature high-end animation for a higher quality learning experience. Leading Digital Transformation - featuring leading experts who will explain what is necessary for a true digital transformation, including B2B and B2C case studies and how to define success. Becoming Agile - led by experts who help companies rethink processes to enable experimentation, testing and quicker implementation. They will break down traditional processes that impinge on a company's ability to compete in a market where customers expect more and want it now. OMI offers a subscription-style service so that students can learn at their own pace, be it lesson-by-lesson or binging on courses. New students can sign up for a free 10-day trial. Additionally, OMI offers free monthly webinars that anyone can join. To see upcoming webinars, click here. In addition to offering courses for individual students, OMI also offers an enterprise portal solution to help companies curate their own educational programs for employees as well as for their own customer base. OMI can also help companies uncover internal expertise and case studies that can be developed into educational content and shared. To learn more, please visit OMI Business Solutions or email customerservice(at)onlinemarketinginstitute(dot)org.